When self-taught musician Lizzy Mercier Descloux passed away in 2004 from stage three ovarian and colon cancer, her death, rather unjustly, went largely unnoticed by the public and media. During her life, Mercier Descloux was never a household name, and had faded into relative obscurity by the time she fell ill. 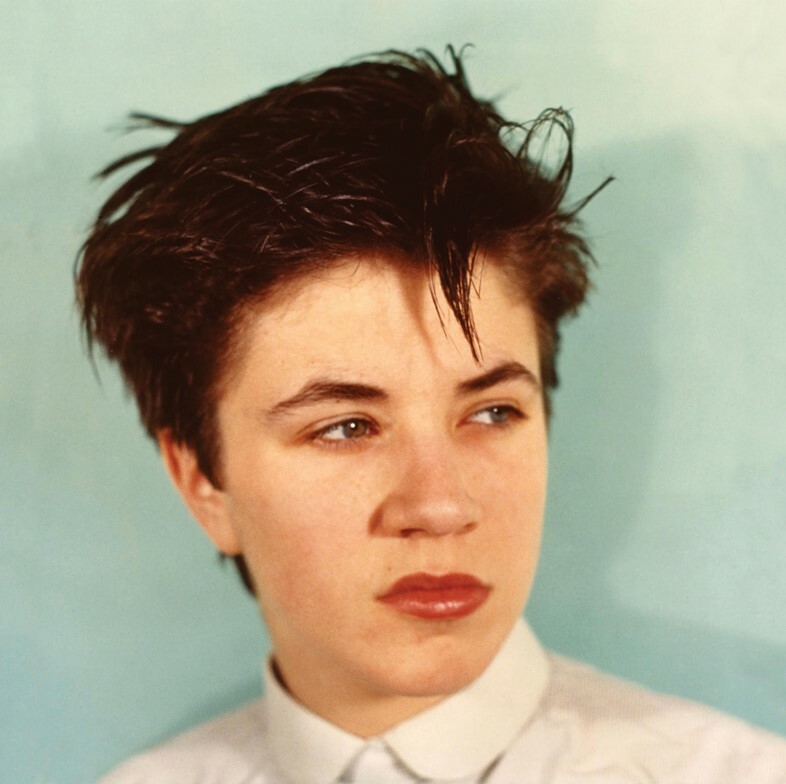 But the legacy she bestowed upon music, art and literature is one that deserves far more recognition as a pioneering force in the no wave and post-punk movements of the 1970s and early 80s. Drawing comparisons to ‘a French Patti Smith’ – a friend and contemporary with whom she collaborated with on numerous occasions – the late singer was an artistic polymath, known for her groundbreaking introduction of world music into her production values, her talent for writing poetry and an ability to paint. During a performance at Le Bataclan a few months after her passing, Smith paid tribute to Mercier Descloux by dedicating Easter to her late friend, simultaneously emblazoning her name on the stage backdrop. Here, we pay a small homage of our own, through giving Lizzy Mercier Descloux the rightful status of an AnOther Woman. Her androgynous coiffure gave way for outfits that were mannish in equal measure, making oversized shirting, suit trousers and boxy jackets part of a signature look. In 1977, she even dressed up as the poet Arthur Rimbaud, in a sort of literary drag-king ensemble, with Patti Smith playing the role of his sister Isabelle. Mercier Descloux helped run a boutique with her partner, record producer Michel Esteban (who also once dated Anna Wintour). Named Harry Cover, it became a go-to destination for the punk movement in Paris at the time, mirroring Vivienne Westwood’s Seditionaries on The Kings Road in London. It sold books, music, clothing and local bands used the store as a rehearsal space. Born in Paris in 1956, Martine-Elisabeth Mercier Descloux grew up in Lyon but returned to the city to attend art school as a teenager. She realised that if she wanted to make it as an artist and a musician she urgently needed to relocate to New York, so in 1976 the singer moved to the states, bought a Fender Jazzmaster guitar and began writing and teaching herself to play. Three years later, after settling into the no wave scene of downtown NYC, she released her first album on ZE Records, called Press Color, featuring a cover of Fire by Arthur Brown that went on to become one of her best-known hits. Later in her career, after touring Japan and Europe, she began experimenting with sampling world music in her work – a pioneering move at the time – with palpable influences from South Africa and Brazil. In 1985 she left for Rio de Janeiro to record One for the Soul. During her visit, she met Chet Baker at the RIO Jazz Festival, resulting in the legendary musician playing trumpet on five of the tracks on this album – including a remix of My Funny Valentine, Mercier Descloux providing her signature oscillating vocals to the iconic lyrics.